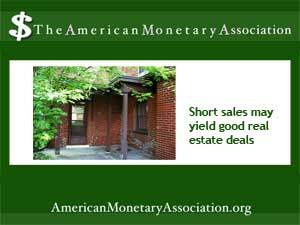 Do Short Sales Boost Real Estate’s Recovery? housing market continues to improve – a trend that signals better health for the economy as a whole. Although that means fewer distressed properties are hitting the market, short sales still pop up in the listings — a process with a bad name that can mean a good property. The number of short sales soared nationwide in the aftermath of the housing collapse of 2008, only to drop again as the housing market began tot get back on its feet and homeowner bailouts helped struggling borrowers with their debt. But home prices are on the rise and some refinancing options are drying up, so some short sale homes are still hitting the market. must get permission from the lender to put the home up for sale. Short sales also attract scammers who promise to broker deals or do an end run around the lender’s claiming the proceeds.